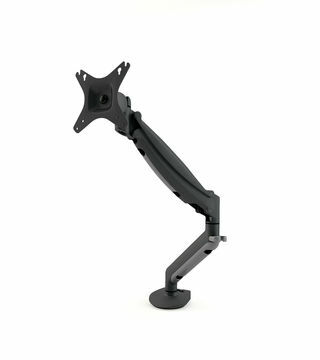 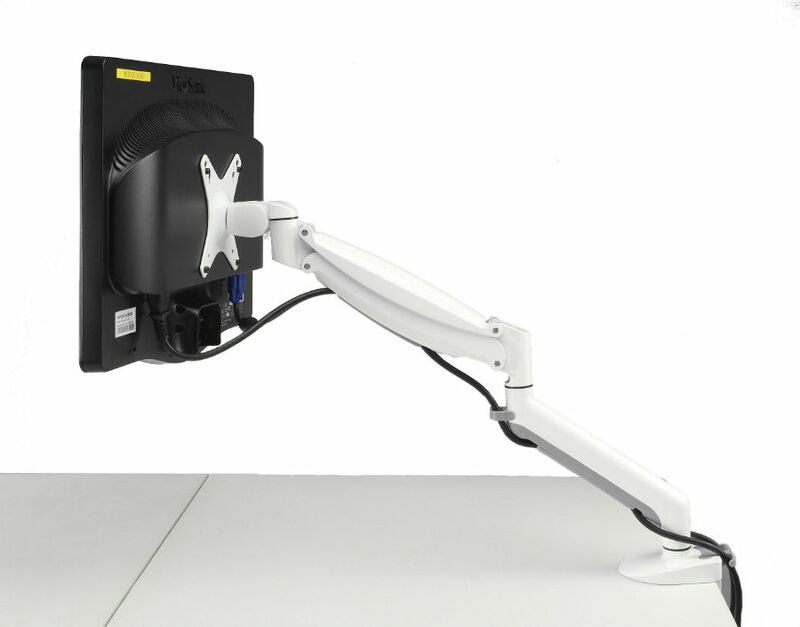 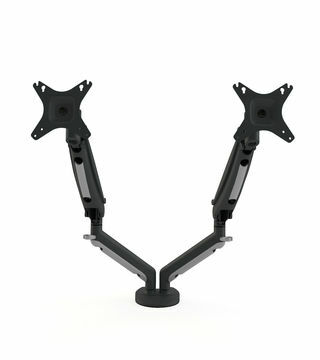 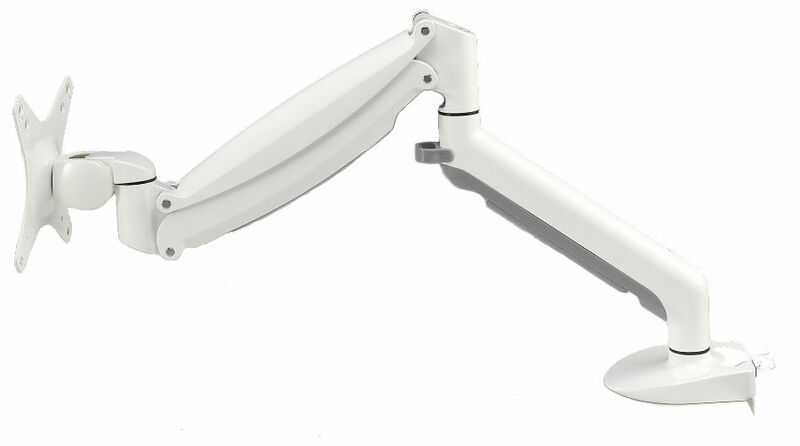 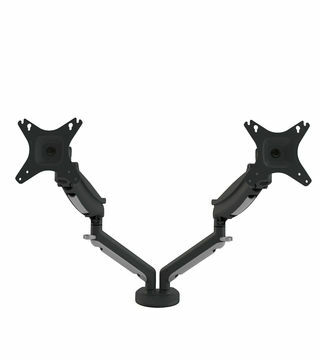 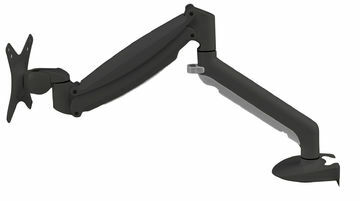 With gas spring technology for finger tip ergonomic height adjustment and tilt/pan function, the Velocity range of articulated LCD mounts adapts to suit many viewing positions. 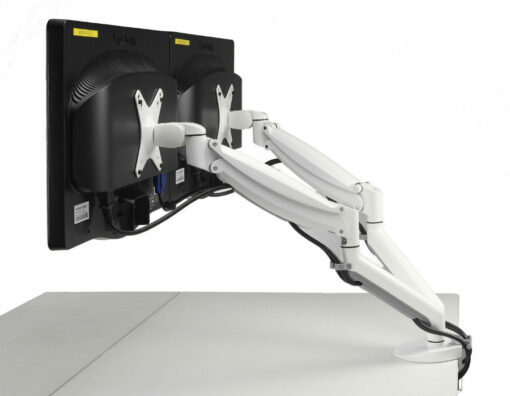 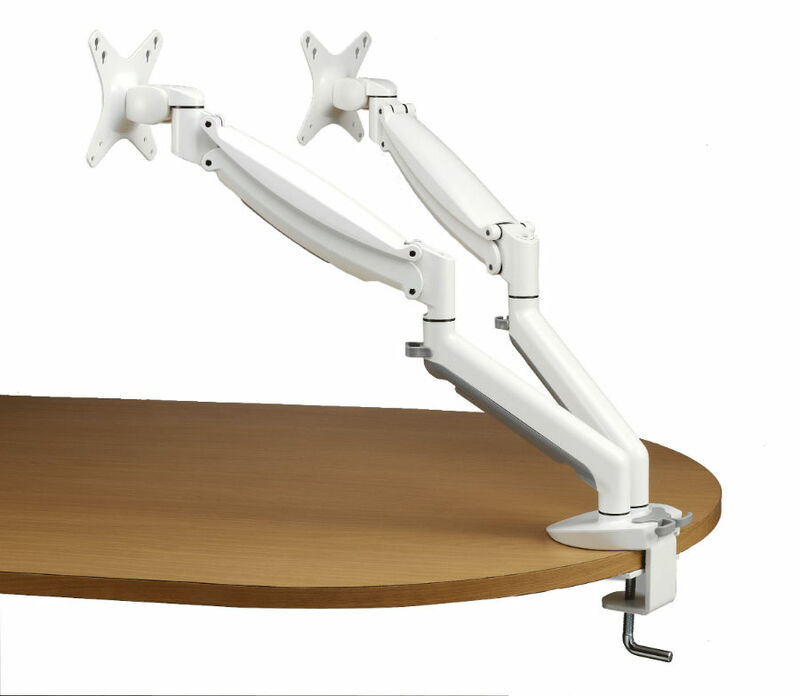 Velocity Single and Dual arms are available to suit thru-desk mounting or edge clamping and are available in Black and White finish with Silver available for project volumes. 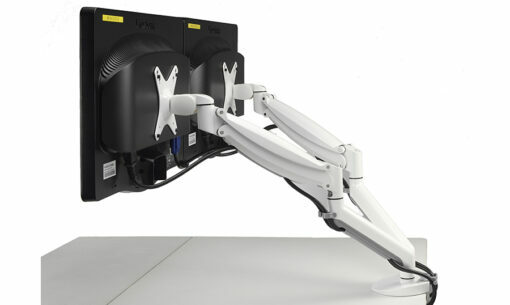 A laptop tray is available for mounting to the dual arm.